It’s almost Christmas time again and what better way of showing your mum you care than with a well thought out Christmas gift. Mothers can be a tricky member of the family when buying gifts. Their selfless nature and love of all things practical can make pinpointing the best presents for mum that will tick all the boxes quite a challenge. So if you’re in need of some gift inspiration this year, then continue reading as we have done the majority of the hard work for you. Below is a list of 10 items that are sure to bring a smile to your mum’s face this year. 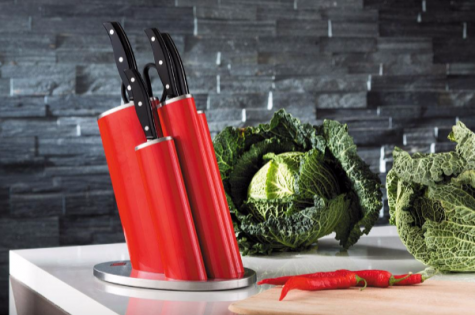 This compact, retro looking 6-piece knife set could be the perfect addition to your mum’s kitchen counter. Whether she enjoys cooking or needs a little bit of encouragement to experiment more within the kitchen, this high-quality set will be well received. The set comes in a variety of different colours to suit any kitchen and includes everything you need in order to prepare your favourite dishes. If you have never considered buying kitchenware online in Australia before, Christmas is the perfect time to get started. Not only is it easier to find the best deal online but it also makes comparing similar items so much simpler than if you were in store. Christmas is a great time for enjoying the dinners in the great outdoors. If your mum enjoys entertaining, this 7-piece set could be the perfect Christmas gift for her. 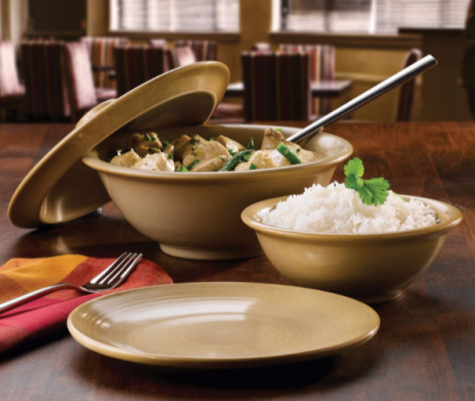 Everything in Impact Eco range is made from recycled bamboo, making these products an innovative and sustainable choice for serving food. This set is also available in 12 different pattern designs making it easy to find the perfect set for any individual taste. 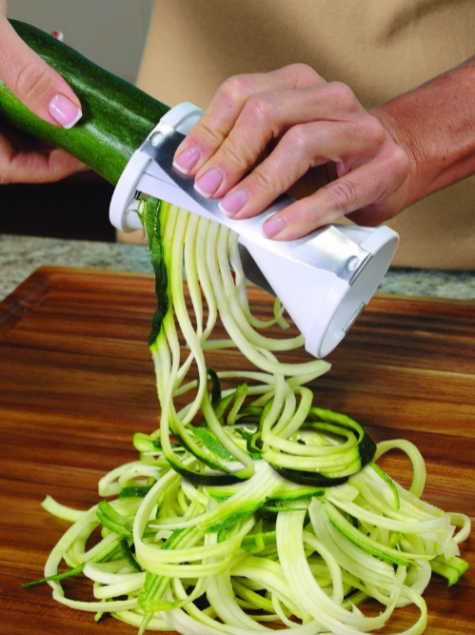 The perfect kitchen gadget for pasta lovers the veggetti machine turns your favourite vegetables into a healthy pasta alternative. The device is easy to use, dishwasher safe and small enough to be stored away in a drawer when not in use. These handmade, natural wooden serving boards give a rustic feel to any dinner table. Choose from a white, natural and dark wooden finish. The Dudson Evolution Granite plates and bowls are beautiful, contemporary and have a high-quality, handmade finish. There are also three more colours to choose from, each one being sophisticated and giving a look of true luxury. Mix and match to create a unique set or give your mother a couple of key pieces to start her collection this year. This battery powered salt and pepper grinders are fun, practical, easy to use and most of all stylish making them the perfect gift for food lovers this Christmas. Simply turn the device upside down for instant salt and pepper. If your mum has an altogether more modern and out there taste when it comes to kitchenware, then the lemon fizz collection could be right up her alley. The bright yellow and orange design is fun, quirky and will brighten up any dinner party. These darling little oven mitts are both beautifully designed and affordable, making them a gift idea that suits even the smallest budgets. There are also a number of other items in the range that feature the same design such as tote bags, coasters and aprons. 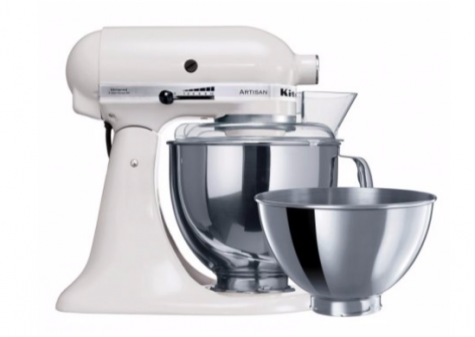 Give your mum the edge when it comes to cooking and baking by investing in a KitchenAid Stand Mixer for her this year. With multiple speed settings and a huge range of different attachments and bowls this essential kitchen tool can help you make everything from ice cream to your favourite pasta dishes. There are now over 25 colours and finishes to choose from making it easy to choose a style that suits and compliments your mother's style. These fashionable, highly functional lunch boxes are your solution for taking hot and cold food items along with you anywhere. The 3 compartment design was recommended by nutritionists and is totally leak proof, stain resistant, dishwasher safe and suitable for the microwave. Available in a number of different colours and designs, this is the gift that just keeps on giving. Hopefully, you now have enough inspiration to go out and make this Christmas one to remember. Dinkleboo offer unique, personalised gifts for kids – perfect for Christmas!